Whether you suffer from seasonal allergies or year-round allergy symptoms, allergies can take a real toll on your body, and get in the way of everyday quality living. Allergies affect an estimated 50 million people in the United States. The rate has been increasing every year. In fact, allergies are the fifth leading cause of chronic illness in the U.S. for people of all ages. It is also the third most common chronic illness in children under 18 years old. Is it a cold or allergies? If you’ve been sneezing and suffering from a runny nose, coughing, or congestion, your first thought might be that you have a cold. However, sometimes symptoms can persist for much longer than we realize. That’s when you need to really pay attention to symptoms, triggers, and responses to treatment. The reality is that allergies are not a harmless nuisance. They are more than just an inconvenience, and they do not occur in isolation. Our bodies react uniquely to our lifestyles and environments. Allergies can also be connected to other health conditions. It is important to know what triggers allergies since these problems can become chronic and persist well into adulthood. They can also cause permanent changes in the respiratory tract, such as nasal polyps, chronic sinusitis, and obstructive lung disease. Aside from all that, wouldn’t you want to know why you sometimes get that rash or that pesky 2 month old cold? If given the opportunity, would you like to avoid or minimize your seasonal allergies? Let’s first, just look at the symptoms. An allergy is your body’s reaction to an environmental trigger or “allergen”, such as pollen, dust, mold, and certain foods when they are inhaled, ingested, or make contact with your skin. Symptoms can vary from mild to life-threatening, and can cause nasal congestion, runny nose, cough, sneezing, watery/itchy eyes, rash, itching, upset stomach, constipation, or diarrhea. Severe symptoms can include swelling of the throat, trouble breathing, hives, throwing up, dizziness, and if untreated, death. If you’re unsure about whether your symptoms are coming from a cold or allergies, watch closely for these signs from your body: Are they constant, or do they flare up when you do something in particular? How long have they persisted? Allergies can cause rashes and itchy eyes, whereas fevers and body aches are not signs of an allergy. Anything that can be eaten, inhaled, or touched is a potential allergen. Most allergy sufferers are generally aware of their triggers and do their best to avoid them. However, not all triggers are as obvious as a peanut allergy. Whether or not a potential allergen affects you depends on your individual genetics, the strength of your immune system, and a range of potential factors such as your lifestyle, diet, and physical environment. Even if you eat well and live a healthy lifestyle, you may be exposed to numerous chemicals and potential allergens that can trigger or aggravate symptoms over a long period of time. Allergy triggers can be easy to miss if you don’t know what to look for. Everyone experiences allergies differently and the range of potential triggers is huge. Just think about it: there are so many potential things in the world that our bodies may not get along with. Popular triggers can be broken down into 3 main categories: foods, inhalants, and contact substances. Popular food triggers include: dairy, wheat (and other gluten-containing grains), corn, soy, seafood, eggs, nightshade vegetables (i.e., potatoes, sweet potatoes, peppers, raw tomatoes, eggplant), nuts, chocolate, caffeine, yeast (i.e., bread, baked goods), MSG and other glutamates, artificial food coloring and preservatives (BHA and BHT) in condiments & processed or pre-packaged ready-made food. This guide focuses primarily on environmental triggers. If you suffer from food allergies, it’s always best to eliminate exposure to those foods. If you’re not sure what is causing your allergic reactions, try an elimination diet or get yourself tested for allergies. Other popular allergy triggers include inhalants such as: mold, pollen, dust, dust mites, animal hair and dander, synthetic fiber off-gases, down, feathers, artificial chemicals, scented candles, perfumes, and cleaning products. Contact substances that trigger allergic reactions include: latex, plastics, cleaning solvents, insect bites, chemicals in air, water, cosmetics, sunscreens, shampoos, make-up, and other personal care products. Below are some other common items that can cause unexpected allergic reactions. Soap: Because we use soap to clean all kinds of different things, we often overlook it as a source of acute allergy symptoms. It’s not uncommon for people to experience allergic reactions on their skin. It can come from that hand soap from work, your laundry detergent, kitchen soap, and various other hygiene products. Negative reactions to soap can often be attributed to scent additives. Try using unscented or additive-free oil-based soaps. Stuffed Toys: If you have little ones, you know how much they love their stuffed toys. Unfortunately these toys also make a great home for dust mites. To minimize potential allergens, wash your child’s toys in hot water (140°F should do the trick) and let them dry. If the toys can’t be washed, place them in plastic bags in the freezer for a few hours. Repeat every couple weeks. Most people blame pollen for their seasonal allergies, but the truth lies in our immune systems. Our immune systems produce antibodies that prevent infection and protect us from getting sick. When you have allergies, your immune system is reacting to things like pollen, pet dander, grass, or dust because it is perceived as harmful. The root cause of your allergy symptoms are your body’s overreaction to certain triggers. If you’re suffering from seasonal allergies, keep indoor air free from allergy triggers. The easiest ways is to keep the windows and doors of your house and car closed. To take it a step further, you can use an air purifier, or install air filters and air conditioning systems in your home. These devices can reduce triggers by 90%. If you’ve been outside, your clothes, shoes, hair, and skin are covered with tiny particles. Leave your shoes at the door. Wash the allergens off of your exposed skin and put on clean clothes. If the fresh smell of grass or dust is enough to make you cry, use a mask when you mow or rake the lawn, and vacuum your house. A respirator mask can block 95% of small particles. 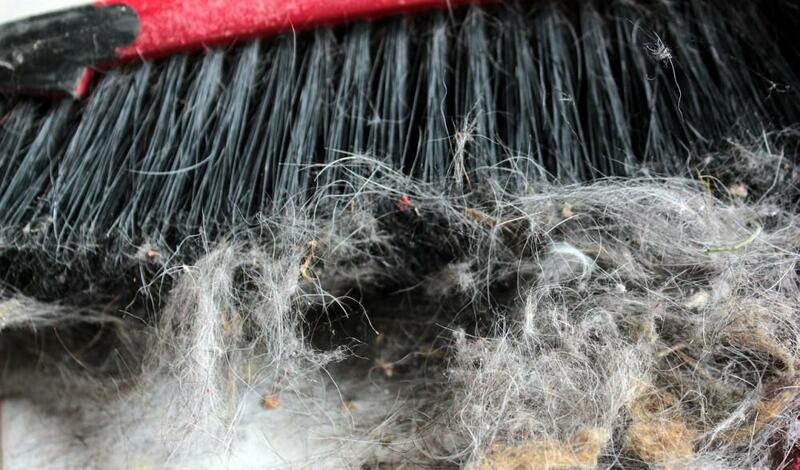 Use HEPA filters in your vacuum cleaner and be sure to change these filters regularly. Stay away from chemicals when cleaning the house. Harsh chemicals irritate the nasal passage and aggravate allergy symptoms. Use natural alternatives made from vinegar and baking soda. A saline nasal rinse can do wonders for a stuffy nose. It lubricates the nasal passages and block foreign allergens from entering the respiratory tract. Either use an over-the-counter saline nasal spray, or make your own saline solution. To do this, mix ¼ teaspoon of salt, 1/8 teaspoon baking soda, and one cup of warm, sterilized water. Gently flush one nostril at a time, using a Neti pot or similar device. Do the nasal rinse once or twice a day. Drink more fluids to better hydrate your body and thin out the mucus in the nasal passage. Hot fluids are especially soothing as the steam helps open up your nasal passage. Drink one or two glasses of warm water upon awakening. For consumption throughout the day, mix hot water with lemon, pinch of salt, and 1/4 teaspoon of the spice turmeric. Vegetable juice made from dark green leafy vegetables, turmeric & ginger root, and a touch of oil is critical to boosting the immune system. You can also drink nettle leaf tea every few hours to relieve acute allergy symptoms such as itchy, watery eyes, sneezing, and runny nose. Nettle leaf is packed with nutrients and minerals that have anti-inflammatory effects. It’s packed with potent phytonutrients like chlorophyll and contains iron, calcium, magnesium, and vitamins A, C, K, and B6. Inhaling steam is an ideal way to loosen up the mucus and ease breathing. A warm shower may be sufficient, or alternatively, prepare a steam bowl: fill a bowl with hot, steaming water. Drape a towel over your head to trap the steam, while you breathe slowly and deeply through your nose. You can also add one drop of eucalyptus oil to the water. Do the steam treatment several times a day. Avoid cigarette smoke, aerosol fumes, and smoke from a wood-burning fireplace, as these can aggravate the allergy symptoms. A balanced, healthy diet containing fresh vegetables, legumes, seeds, non-wheat or white rice whole grains and fresh fruit are critical for boosting the immune system. A study showed children eating grapes, apples, oranges, and tomatoes with little consumption of dairy products, meat, and processed food had fewer allergy symptoms. Have warm, wholesome foods throughout the day. They include a variety of vegetables like dark leafy greens, beets, legumes (i.e., lentils, moong dal, and navy beans), unrefined whole grains (i.e., amaranth, buckwheat, quinoa, barley, brown rice, millet). Certain herbs and supplements such as spirulina and golden seal can boost your immune system and help fight allergy symptoms. Butterbur is a strong antihistamine that can successfully reduce airway inflammation. If your symptoms don’t go away, or you experience severe symptoms, visit your doctor for a consultation. Dr. Payal Bhandari can help you figure out the underlying cause of your allergies. Working together on a personalized treatment plan can effectively reverse these inflammatory conditions. Dr. Bhandari is an integrative functional medicine physician who specializes in the immune system and chronic illness. She will guide you through how your symptoms or illness can be directly impacted by your lifestyle and other environmental factors. Healthy living for patients is dear to Dr. Bhandari’s heart. She loves to help people take back control of their health through simple tips we can each be empowered by.